Will Simpson's monster is looking blue. 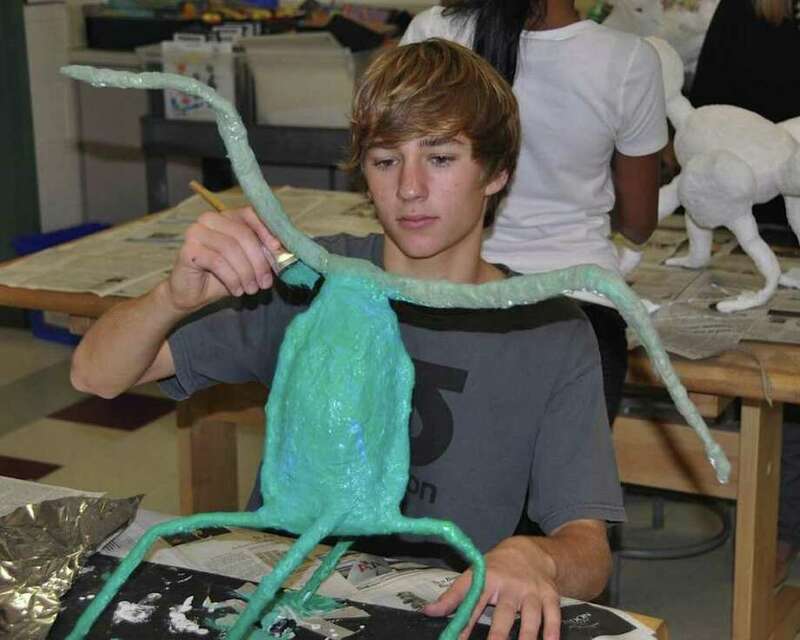 Middlesex Middle School eighth grade art classes have produced some "horrifying" projects this week as students used their imaginations to create plaster monsters. To gather information about what their projects might look like, the eighth-graders viewed a powerpoint presentation with visuals through which they explored the meaning and function of a "monster." Their projects objectify an emotion, an art historical figure (like gargoyles), and other visuals from different forms of media.